We all have “friends” on social media who we don’t really know — let’s call them stranger-friends. They find their way to your feed through mutual friends or colleagues or common interests or whatever. I have over 1000 friends on Facebook and there’s nothing quite like a birthday to remind you of who’s on your page – friends from elementary school, high school, college, graduate school, mommyhood, the neighborhood, ALD, CCI, CPNJ, and on and on and on – including all those stranger-friends. Sunday was my 48th birthday and I’ve spent much of the last couple of days reading through posts. Hundreds of posts and I’ve read each one. It’s amazing to pause from the chaos of the holiDAZE and think of all the people in your life (and on your computer). Birthday wishes are always fun and this year I feel blessed that I’ve managed to meet some of my stranger-friends in person. Over the years, there has been a growing percentage of people in the ALD community on my Facebook feed. Many are people that I feel very close to because of shared experiences, but most of them have been stranger-friends — I’ve never met them in person — until this year. Thanks to Smiles and Duct Tape, I’ve had the opportunity to meet a lot of ALD folks – people living with it and/or fighting against it. This past weekend I had another chance to meet some of these people. My mother, Anna and I attended this year’s ALD Connect Annual Meeting. As soon as we arrived, I saw people I’ve only seen on my computer screen. And, these aren’t just regular people to me. Imagine meeting one of your heroes. Now, imagine meeting a room full of your heroes. THAT’S what it felt like. People responsible for newborn screening for ALD, for raising funds for research, doctors dedicated to fighting our disease, biotech companies discovering new treatments, and piles of people living with ALD/AMN. And, there were the ALD moms – some have lost their boys, some are caring for them now, even one who has hope for her beautiful son thanks to newborn screening. All these names I’ve known, all these faces I recognized, all their stories that have helped me move forward — it was a little overwhelming, but deeply powerful. Thanksgiving is always a time of reflection. As I consider all the things I am grateful for, I’m adding being part of the ALD community. I hate ALD — I hate what it’s done to Jack, I hate what it’s done to so many families, BUT I do love the people I’ve met through our wicked disease. We can’t fight this monster alone and I am honored that our family is fighting with this group of strong/dedicated/brilliant people. Please join me in taking a moment today to send a prayer/good vibes/happy thoughts to a woman who adored our kids. Jack and Anna called her MopMop, but most people knew her as Sharon O’Neill. Rest in peace. Yesterday I went on Facebook and asked people to “like” Smiles and Duct Tape. I need to explain. I wasn’t asking people to “like” me (not really). I was trying to get more information about who reads this blog. WordPress give me facts about country/age/gender, but I’ve been curious about specifics. I’ve wondered how many were friends, family, Maplewood folks, ALD families, or random people who like counting their blessing that their lives are easier than ours. As soon as I hit send on my status update, I thought, my family is really going to get a kick out of this one. I have a reputation for needing a lot of positive reinforcement, and this seemed to prove the point. I’m not sure where my insecurities stem from, but since I was a little girl I’ve always needed more than my share of pats on the back. Although I am holding to my “need for information” excuse, there might be a little part of me that wanted to know if my words are worthy. The most significant reason I write is because it helps me to process this life. Finding the right words is like working on a puzzle. I sit down with something on my mind and write without much thinking – like throwing all the misshapen pieces on a table. Then I start to organize the mess. As I work, I see the picture start to form as the story comes together. I know when the piece is finished, because the picture is clear and I feel lighter. If I can explain what we are going through, it means I’ve solved that puzzle. But it’s not just for me, I also write hoping that this blog helps other people. Whether they’re families like ours who are looking for their peers or “typical” families trying to better understand what it’s like to live in our shoes. 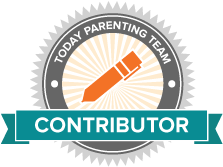 I think people respond to the blog because it’s real stories about a real family. And, there’s nothing complicated about the way I write. I fell into writing without much training and hopefully that makes my style approachable (although my lack of schooling may explain part of my insecurity). A friend once said that she could hear my voice when she reads my blog. That was the best compliment I’ve ever received. So I write for survival and to help others, but I’d be lying if I said that I didn’t care about numbers and compliments. I do look at the stats every day and smile when I see a new reader or another country pop up on my stats page. I do like when someone reaches out to tell me that they enjoyed my latest piece – like I’ve been able to create some good out of this nightmare we’ve been through. It doesn’t make it worth it, but it helps and I guess I am still that little girl who needs validation. 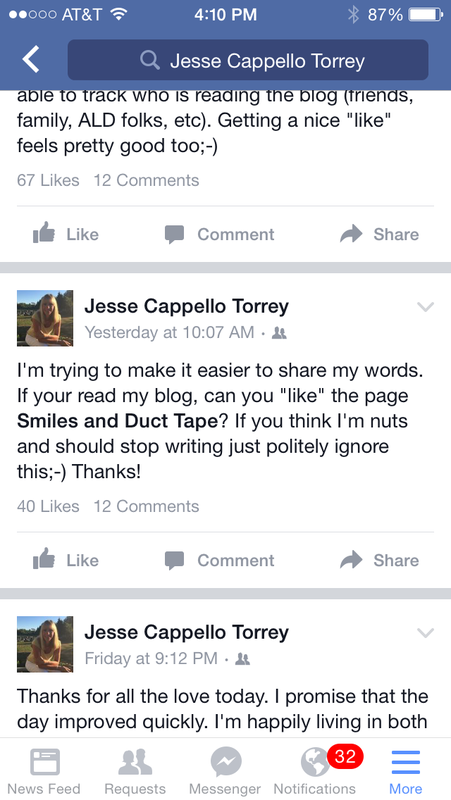 Smiles and Duct Tape received 130 “likes” yesterday. Thank you! Now, if you can hit “follow” on the bottom right corner of this page, I can really feel like this whole blogging thing matters AND I promise to stop begging for love for a while.